I know that, over the entire history of Doctor Who, most actors playing the Doctor have done about three seasons before moving on. Nevertheless, whenever those three years are up, it always feels much shorter. 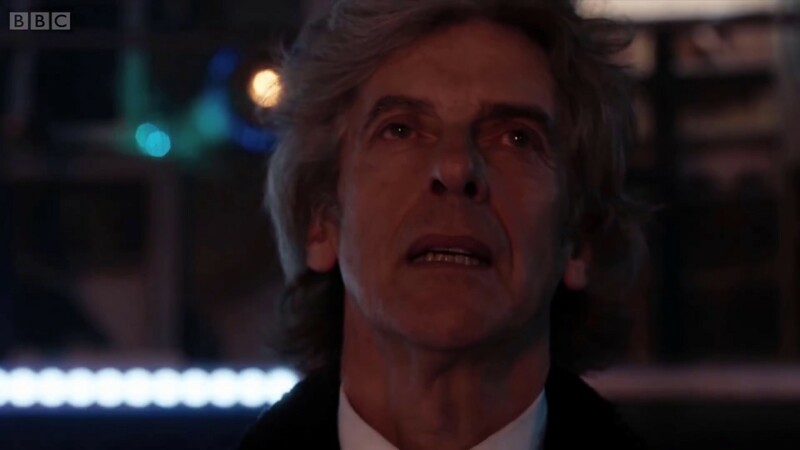 It feels like barely more than yesterday that I was writing about the arrival of Peter Capaldi when, in actuality, it’s nearly six months after his final episode aired. The entire era of the twelfth Doctor has come and gone. With Series 10, particularly its final two episodes “World Enough and Time” and “The Doctor Falls”, the twelfth Doctor’s era has very nearly gone out on a high. Indeed, as I state in my review, the only significant problem with “The Doctor Falls” is that it’s not the twelfth Doctor’s final episode. Instead, it drags the regeneration out to another episode. 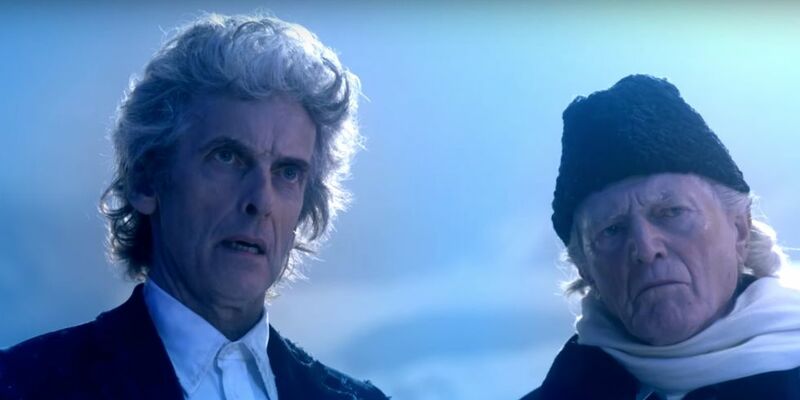 That episode, December 2017’s Christmas special, “Twice Upon a Time”, is not a bad episode, but it also falls pretty short of being a great episode. There are a lot of good elements to the episode, but it also feels very tagged on. It’s not the climax that Series 10 was leading to (that’s “The Doctor Falls”), but also doesn’t quite manage to be its own thing. It’s still reliant on the Doctor holding back his regeneration—on an emotional state set up in the previous episode but not successfully carried through into this one. I’m going to harp on a bit about the delayed regeneration. 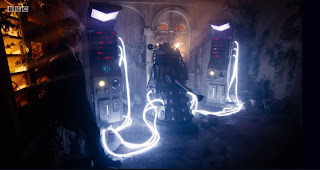 As I stated in my review of “The Doctor Falls”, one significant issue here is that the Doctor’s reluctance to regenerate is not something that Series 10 or any previous series built up to. It was just slotted into “The Doctor Falls” without any previous indication that this Doctor would be so reluctant to change. It seems to be there for no other reason than to delay the regeneration for one episode without having to make the Series 10 finale a standard (non-regeneration) finale and the Christmas episode the actual regeneration episode. Or perhaps it was just a desire on Steven Moffat’s part to use the “reset” period of regeneration (introduced in “The End of Time” and reused in “The Time of the Doctor”) as the basis for an entire episode. Unfortunately, this reset period (which never occurred prior to the tenth Doctor’s bizarre victory lap) removes all the drama, emotion, and particularly tension from regeneration. The Doctor goes from almost dead to being able to wander about completely normally as if nothing at all is wrong until he finally decides to regenerate. “Twice Upon a Time” even draws specific attention to this fact by pointing it out with the first Doctor—the twelfth Doctor comments that the first was feeble only a short time earlier and is now strong again. It’s essentially the same problem I have with Clara’s survival in “Hell Bent” and its reversal of her death from “Face the Raven”. We know that she is doomed to die, but she’s been given an effectively unlimited extension on when that death will occur. Her death has no real power any longer and thus, there’s no tension associated with it. It’s not quite to the same extreme with the Doctor’s reset period as he does not have an effectively unlimited time (although he does have however long the story requires him to have), but it still takes the high tension of “The Doctor Falls” and tosses it aside so we can have humorous quips about wearing sunglasses indoors, the first Doctor’s sexism, and so on. And it never quite builds up the same tension again in the lead-up to either the first or twelfth Doctors’ regenerations. Even once the twelfth Doctor finally decides he’s going to regenerate, he is still able to further delay it long enough to give a speech to (nominally) his next self (but really to the audience). I’m not entirely sure what I think of the Doctor giving speeches just before his regeneration. I suppose it ultimately depends on how it’s handled. The eleventh Doctor’s speech in “The Time of the Doctor” is actually pretty good (as much as I dislike that episode as a whole), but the twelfth’s here is just more... delay. After a whole episode of delay, even more just grates. There are good parts to it (“Always try to be nice, but never fail to be kind”) and I particularly like his final line (“Doctor, I let you go”), but overall, it’s one of the weaker speeches (not just regeneration speeches) that the Doctor has given. If it were shorter and to the point, it might work. In particular, it really could do without all the business with children knowing his name (Steven Moffat has an obsession with the “Doctor who?” question). All that said, juxtaposing the twelfth Doctor’s reluctance to regenerate with the first’s reluctance (something else not actually indicated in the first Doctor’s regeneration story “The Tenth Planet”, but tacked on here) is a clever idea, and there is a lot of potential in a story surrounding it. And as with any multi-Doctor story, some of the best moments come from the interaction between the Doctors. 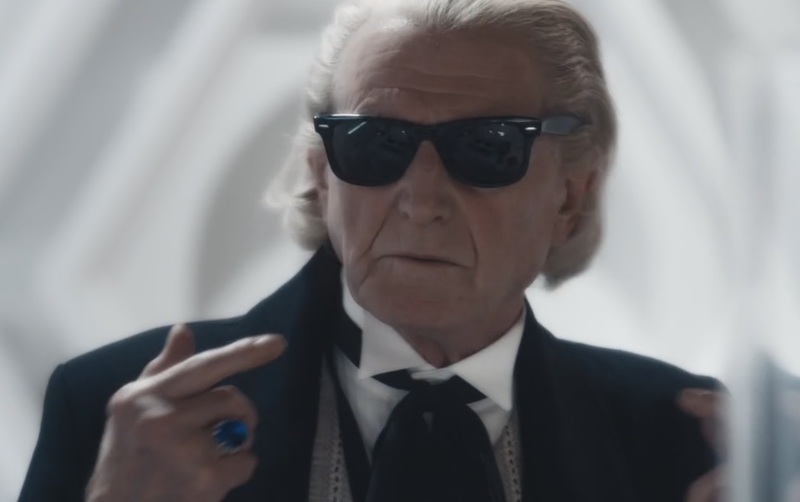 Much like in “The Day of the Doctor”, Steven Moffat uses the presence of an earlier Doctor to poke fun at many of the show’s current tropes and idiosyncrasies, from the Doctor using his sonic screwdriver or sunglasses for everything to his tendency to announce his plans to his enemies. Similarly, the episode also pokes some fun at the the first Doctor’s era, particularly the first Doctor’s sexism. There was a lot of controversy about this around the time “Twice Upon a Time” first aired. Many people felt it wasn’t true to the first Doctor’s character, that he never did anything so overtly sexist as some of his comments here. And that’s somewhat true; it wasn’t quite so overt. However, it’s impossible to deny the first Doctor’s era was made in a time in which there was a lot of rampant sexism. Doctor Who was, in many ways, progressive for its time (it had a woman producer, for example) though it didn’t escape that sexism entirely and neither did the Doctor’s character. Examples are often subtle—such as he and Ian in “The Daleks” making sure that the two women don’t see the Dalek creature out of its shell in order to defend their meeker sensibilities—but there are quite a few of them. He never made any comments about requiring his female companions to clean up the TARDIS for him, but in order to make fun of something—part of effective satire—you generally need to exaggerate what you’re making fun of, and so it’s exaggerated here. Of course, sometimes, the original effectively satirises itself and so no exaggeration is needed, as is the case of the first Doctor threatening Bill with a “smacked bottom”. The first Doctor previously used almost exactly the same words towards his granddaughter Susan. I have heard people defend that line as not an example of sexism because it’s directed towards his granddaughter, someone over whom he has a position of authority. However, the line is still gendered. Susan is an adult, and if she were his grandson, I can pretty much guarantee the line would never have been written. True, he would never have said the same thing to Barbara (another companion at the same time) who was not his granddaughter, but the fact that Susan is female plays a role in his using the line. The first Doctor’s era was a product of its time and we shouldn’t deny that. It doesn’t mean that we can’t like the first Doctor. I love those old episodes! And William Hartnell is a delight to watch. But it’s possible to love something and still acknowledge its faults, which is precisely what Steven Moffat is doing in “Twice Upon a Time”. Moffat clearly has a great love and reverence for the old series, but he doesn’t shy away from acknowledging its weaker aspects. That said, I can accept that it is a little overdone in this case. The point is made well before the final instance of sexism, but I consider this a minor issue that doesn’t really impact the episode’s enjoyability. On the whole, I like the presentation of the first Doctor here. He’s a sympathetic character and David Bradley gives a strong performance. He doesn’t copy William Hartnell exactly, but rather gives his own interpretation of the same character, which I think is ultimately more effective. Peter Capaldi is likewise in fine form and gives his final outing his all—even that final speech I’m not that fond of. He and David Bradley work well together, and it’s easy to accept them both as the same character, just at different points in his lifetime. I also like Bill’s interactions with the first Doctor, and with the way she so easily understands and accepts him as being an earlier version of the Doctor she knows—and also accepts that the current Doctor has grown and changed (not just via regeneration, but also via experience) in the thousands of years separating the two versions. 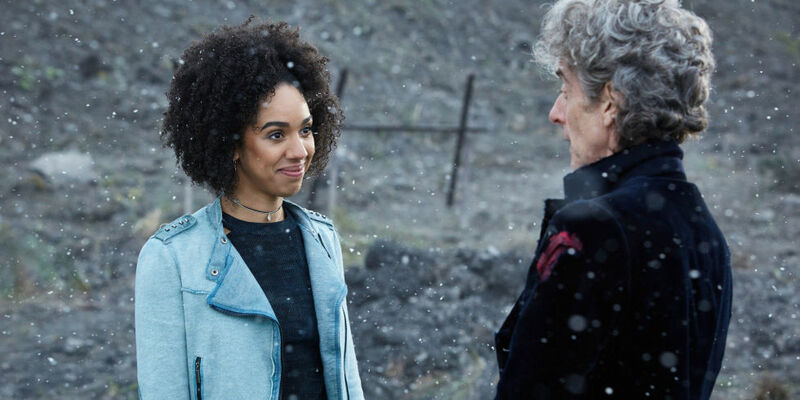 Her interactions with the twelfth Doctor are wonderful, too, and I like that she helps guide him to being at peace with himself and ultimately accepting his regeneration. Bill quickly became one of my all-time favourite companions during Series 10, and I’m really glad she gets one final appearance here. Nardole’s brief appearance is nice, too, although it’s mostly played for laughs. Nardole began as little more than a comic-relief character, but he grew beyond that, and I wish we could have seen a little more of that growth reflected in this episode. I also wish the episode didn’t ignore the dark circumstances of his probable fate, although, to be fair, "The Doctor Falls" already started ignoring it at the end. “Twice Upon a Time” is not just the end of the Peter Capaldi era of Doctor Who. It’s also the end of Steven Moffat’s time as executive producer. As such, the episode contains a number of nods to Moffat’s time as showrunner. It brings back Rusty the Dalek from Capaldi’s first season (“Into the Dalek”) and revisits the idea of Doctor Who as fairy tale (a common theme during Matt Smith’s time as the Doctor). I think the inclusion of Rusty is rather ineffective and amongst the weaker parts of the episode. He’s a character who works well for a single appearance, but the idea that he goes on to survive millions of years fighting the Daleks just doesn’t seem believable. Also, even though he’s from a relatively recent episode, he’s not a character that’s likely to be remembered by most of the audience. His inclusion is a good example of Moffat’s love of including aspects of the show’s past even when they’re unnecessary and just add confusion to the episode by expecting the audience to recognise them. Captain Archibald Lethbridge Stewart is another example of throwing in elements of the show's past, although it works much better than the inclusion of Rusty, in large part because he actually has a large role to play in the story. Although it's not directly stated, the implication is that he is the Brigadier's grandfather, but even if you don't know who the Brigadier is (which is entirely possible, even likely, for newer viewers), he remains a relatable character with desires and emotions his own. His name is just a name in this case. 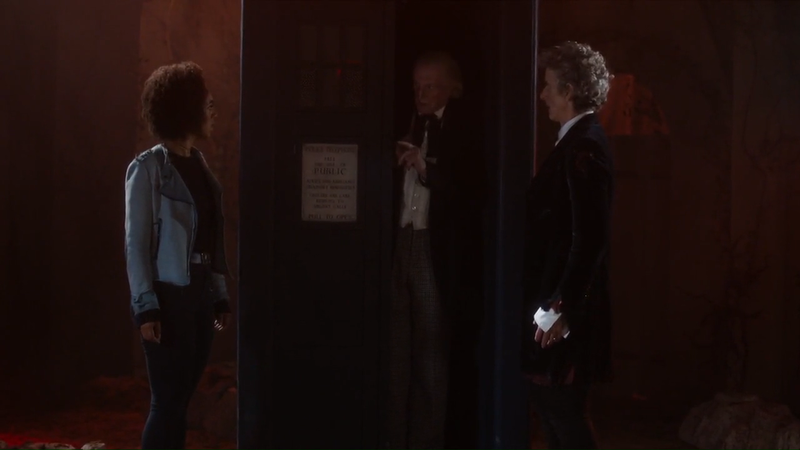 The fairy tale aspect works well in this episode, even though it hasn’t really been a part of the Capaldi era. I particularly like the first Doctor dismissing Bill’s ideas with “The real world is not a fairy tale,” without realising that the “bloke” she’s referring to is him (or will be him in time). 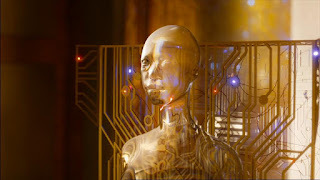 The idea of memory defining a person also plays into this, as well as playing into ideas that have been brought up in Doctor Who throughout its history. Of course, it’s very unscientific. If the version of Bill seen here really was made up of her memories, she would actually be quite a bit different from how the Doctor remembers her—not a near-perfect copy at all. 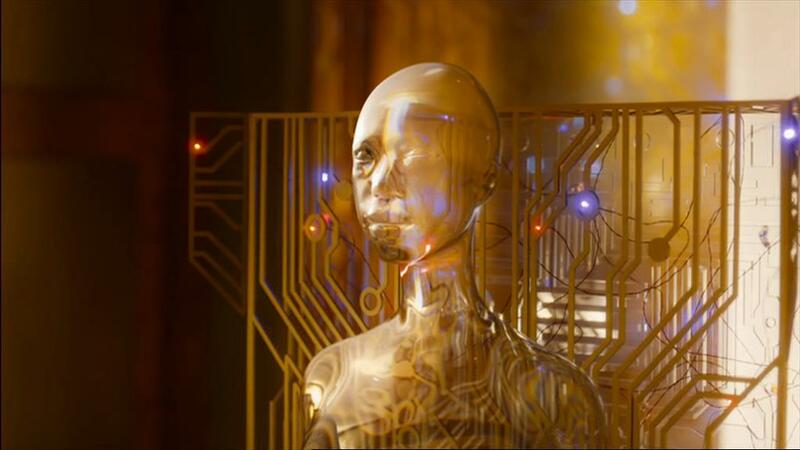 While we don’t really know how accurate Time Lord memories are, numerous scientific studies have shown how inaccurate human memory can be. As a result, how we see and remember ourselves and other people is different from how they see us and themselves. Of course, scientific accuracy is not something I watch Doctor Who for. The idea of memories so perfectly encapsulating a person is a beautiful one, and it’s a good way to lead into the restoration of the Doctor’s lost memories of Clara. Of course, Testimony restoring everyone via their memories is the ultimate expression of “Everybody lives!”—the ultimate way to bring back to life everyone who has ever died. I have frequently criticised Steven Moffat’s Doctor Who for constantly restoring dead characters to life, but I have to admit, it’s kind of poetic for Moffat’s final episode to feature an organisation that is literally restoring everyone who has ever died. As much as I may not be a fan of it, it does rather encapsulate the Moffat era. It also fits the theme of the Doctor’s own rebirth via regeneration. After being teased for several episodes, that regeneration does finally happen at the end. When Jodie Whittaker was announced as the thirteenth Doctor last year, I unfortunately, did not get a reaction written and posted. However, I can say that I was very excited, and I eagerly looked forward to her first appearance in “Twice Upon a Time”. It’s not really possible to judge a new Doctor from the brief introduction at the end of a regeneration episode. However, that brief moment provides impressions, and the thirteenth Doctor has definitely left a good first impression on me. 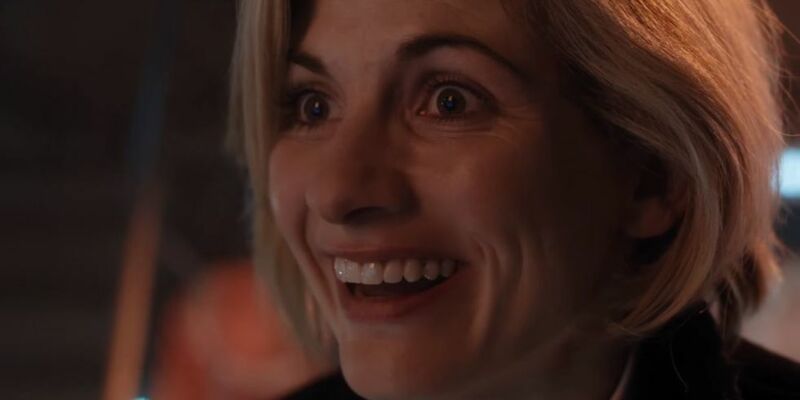 Her surprised smile at seeing her reflection instantly sells her as the Doctor. I can’t wait to see more of her in Series 11. Overall, “Twice Upon a Time” has a lot going for it, but it also suffers from being something of an anti-climax after “The Doctor Falls”. It just doesn’t manage to build up the emotional punch of the previous episode, which it really needs to do in order to make up for the delayed regeneration. Still, there are far worse episodes of Doctor Who (worse regeneration episodes, even), and it is quite enjoyable. As the first story to be both a regeneration story and a multi-Doctor story, and also the story to introduce the first female Doctor, its place in Docto Who history is pretty secure.